1. 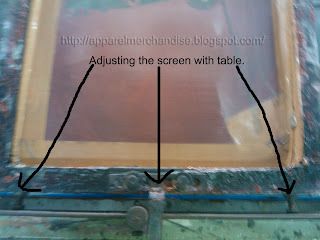 Screen adjusting and table marking: After get the ready screen supervisor adjusts the frame with the table by using the scrue and iron angel. Also they mark the table with specific measurement (as per requirement) with a view to place the print in correct positions. 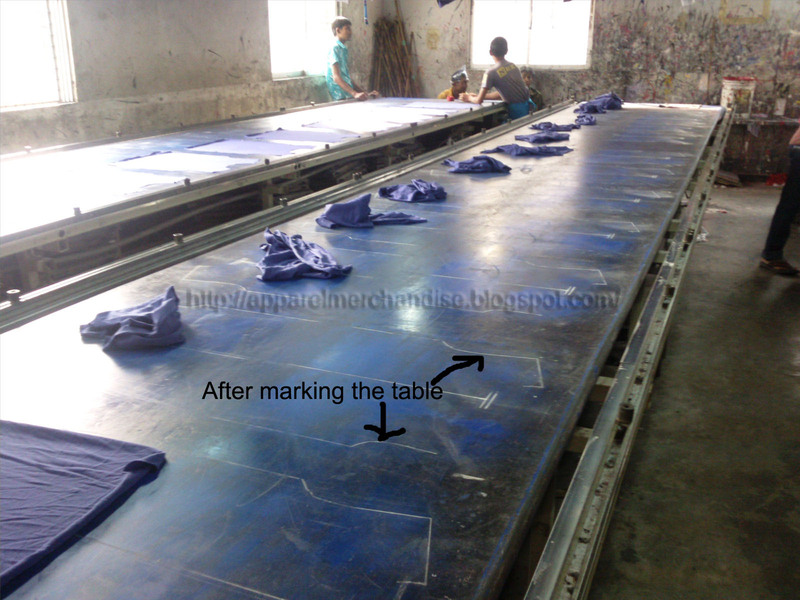 After marking the table the laymen lay down the cut fabric on the table as per marking. Laymen do this job. For more details see my next post.